“We don’t just want to build you a sign, we want to help elevate your brand,” proclaims TDH Experiential Fabricators of Surrey, British Columbia, Canada, outlining its focus on its Web site. 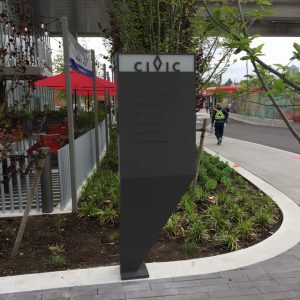 In a telling demonstration of that commitment, TDH recently crowned the new Civic Hotel in downtown Surrey, a satellite municipality of Vancouver, British Columbia, with letters, logos, and LEDs. From 520 feet above street level, matching signs on the tower’s north and south faces announce the multi-use hotel/residential/education complex to the surrounding area as a new local landmark. In fact, these signs have been cited as the highest signage in Western Canada. TDH also created twenty-seven other illuminated signs for the exterior of the building. “We designed the sign package to serve the hotel, the staple tenant KPU (Kwantlen Polytechnic University), and multiple other tenants,” says Troy Hibbs, managing partner and project coordinator at TDH Experiential. AT 520 feet above street level, these signs have been cited as the highest in Western Canada. Fortunately they still had time to adapt and plan for the formidable installation at the top of the tower, which took immediate priority. 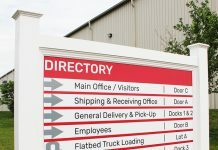 “The sign itself is pretty basic—channel letters and LEDs—but we did have to make sure from then on the contractors installed the conduit we needed to power the sign,” says Hibbs. 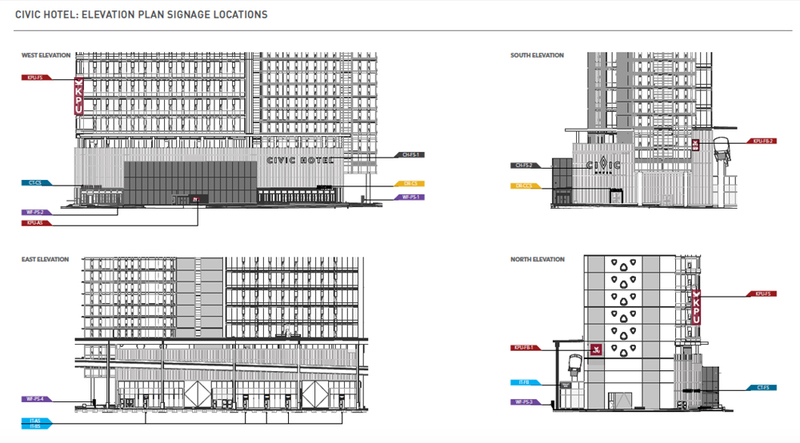 The TDH design process for the Civic Hotel signage. 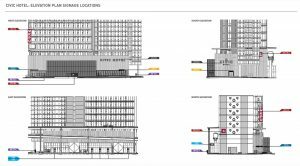 As part of its design process, TDH conducted a visibility study to ensure the sign, as planned, would realize the Century Group’s goals of making it a beacon for the building and downtown. The channel letters and logo were designed and built for optimum day and nighttime visibility with white sign faces and charcoal returns, illuminated by peel-and-stick Hanley LEDs. “We added a bead of clear silicone along each module, after inserting them,” says Hibbs. Each element is ten inches deep with the letter-face composed of 4.5mm sign-white polycarbonate, backed with pure white 7000K LEDs. The “Civic” letters were built six feet, seven inches tall for legibility up to three-quarters of a kilometer away. The smaller “hotel” letters are three feet, four inches high and legible up to half a kilometer away. The facility’s distinctive diamond logo, which doubles as the “v” in Civic, was designed as the sign’s most visible element, standing nearly thirteen feet tall and easily discerned 1.5 kilometers away. Once the tower sign was approved, TDH started designing for the rest of the package. By the end of February, all elements for the tower sign were built. “But we knew the biggest challenge was going to be the install,” says Hibbs. For the install, the company solicited the expertise of Tops Lighting, Vancouver-based specialists in difficult sign installations. 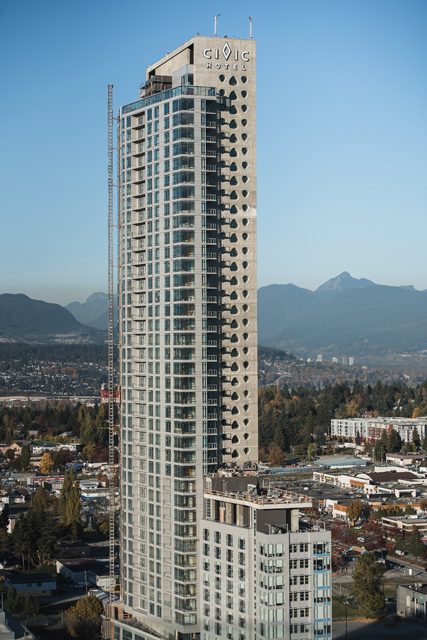 “We do all the big installs on high rises in and around Vancouver, but we’ve never done one that high before,” says Kris Voros, shop supervisor at Tops Lighting. “It wasn’t an issue for us as far as the installation goes. The actual installation took place over two weeks with each side requiring two days for the setup and install. Weather and the work of other trades completing their parts of the project played a major factor in determining when the work could actually take place, notes Hibbs. 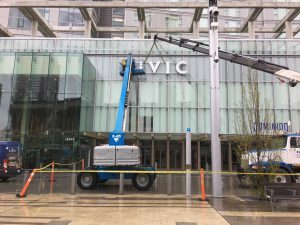 “Our original plans called for using the crane onsite to hoist all elements into place, but it wasn’t available when needed for the final install,” says Hibbs. A custom-engineered winch was rented to hoist the letters to the top of the building. In mid-August of 2017, when it was available, the main diamond logo and all letters for the south side of the building were hoisted partway up with the crane and secured in place until the install could be scheduled. 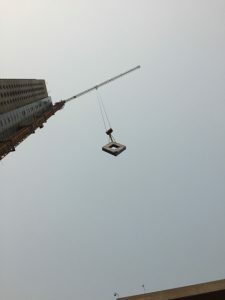 In October, a custom-engineered winch was rented to hoist the letters to the top of the building, which were then lowered from the roof to the crew in the swing stage. With all that was involved, Hibbs admits some anxiety as the project entered its critical final phase. “I knew if something was wrong or didn’t fit or there were any mistakes, we were on the hook. There were a lot of special costs,” he says. 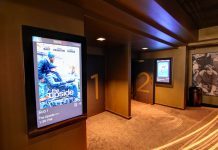 The installation posed so many special considerations with so many variables, the entire sign was designed to minimize potential headaches in the future. 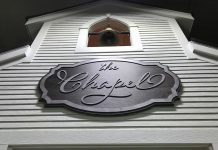 TDH also created twenty-seven other illuminated signs for the exterior of the building. When the sign switched on this April, the day after the hotel officially opened, all could take pride in a job well done. For TDH and Tops Lighting, the new Civic Hotel signs stand as a tall testament to their specialized expertise in sign design, fabrication, and installation. 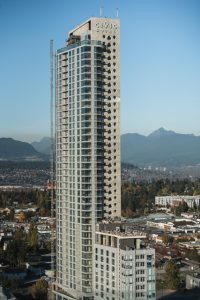 For Century Group, as intended, the tower and sign symbolize the facility as well as downtown Surrey and its aspirations to prosper as a tech center.